This popular and common catfish shares many characteristics with its cousins, the black bullhead and the yellow bullhead. Distributed from Maine south to Florida and throughout much of the Midwest, the brown bullhead (Ictalurus nebulosis) is found in lakes, ponds, and slow-moving streams and canals. The species seems to prefer muddy, weedy bottoms, although it does quite well in waters with sandy, gravelly bottoms. 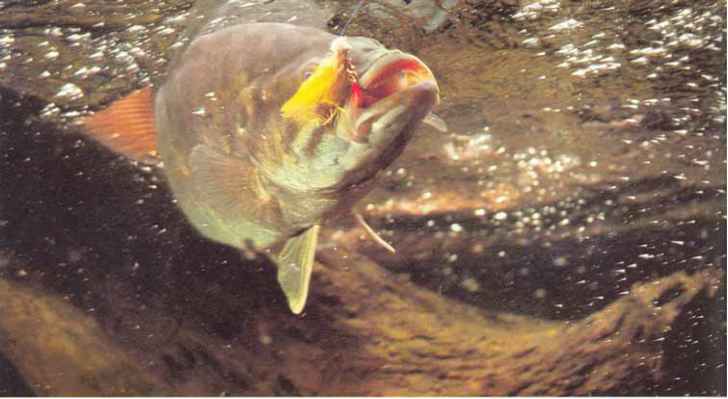 Like other catfish, the brown bullhead is a bottom feeder. They forage there for insect larvae, mollusks, crustaceans, small fish, worms, leeches, and even aquatic plants. Bullheads are relatively easy to catch using worms, live or dead minnows, shrimp, or stinkbait fished directly on the bottom. Given this species' wide distribution and propensity to eat a variety of baits, thousands of bullheads are caught each year by anglers fishing worms from the shores of lakes and ponds. Brown bullheads average about a foot long, weighing nearly a pound at that length, reaching 19 to 20 inches and 4 to 5 pounds. Like all catfish, bullheads have sharp spines in their dorsal and pectoral fins, which become erect when caught. A toxin in the spines can be quite painful if you get jabbed by a spine. Avoid these spines as you handle the fish, which is worth the risk for its delicious flesh.